Since January 2015 the two Veterinarians DVM Blendi Bejdoni from Kosovo and DVM Eriola Palla from Albania, both living in Gjakova, have been non-stop on the road for 6 days a week to take care of stray dogs in the Western part of Kosovo. They are the only veterinarians in this country to neuter and treat huge numbers of stray dogs. Nearly 3500 dogs – most of them street dogs or owned dogs of poor people – have got treatment up to now. All this has been made possible in a country which up to now did not have any animal protection organisation helping pets. 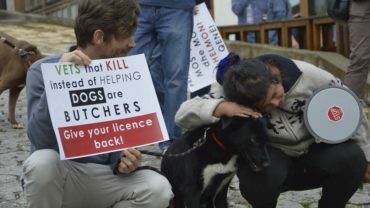 The two veterinarians work with four helpers to collect the dogs so they can be neutered/spayed, vaccinated and if necessary treated against disease or injuries. The objective of the CNVR (catch-neuter-vaccinate-release) program is to prevent puppy births with the aim to reduce the stray dog population in general. Abandoned or feral dogs – in particular puppies – suffer an abysmal life before they miserably perish. The veterinary treatment improves their life quality – at least short term. The importance is to prevent the endemic growth of the street dog population sustainably and in a fashion to comply with animal protection rules. 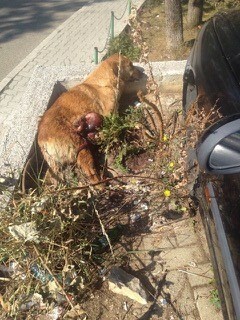 On the other side, the vaccination of street dogs is also the best way to prevent rabies. Deworming – which is possible at the same time protects people in poor countries from Echinococcus multilocularis (known as fox tapeworm). For sick dogs there is a sanctuary in Nagavc/Rahovec – these dogs are no longer released after treatment. In Kosovo there is not a single animal home. This project has been made possible through the cooperation with the small Swiss foundation StrayCoCo – OIPA Swizerland. The foundation – CoCo means ‘Control through Cooperation’ operates with people who cooperate on the spot and with mutual control by willing government bodies and private people. CNVR works to achieve a sustainable effect, which necessitates the cooperation with primary schools on responsible dogownership as well as the inclusion of local politicians and administrations. Both veterinarians visit primary school classes regularly. They are also responsible for the negociations with local politicians. Up to now they have been successful in the following communities in the West: Gjakova, Rahovec, Malishevo, Decan, Peja and the more southern Serbian exclave near Prishtina, Graçanica and the nearby Roma settlement Preoce. By donating a single veterinary treatment for a stray dog, you protect people from contagious diseases such as rabies and fox tapeworm and at the same time stop the endemic increase of the dog population by neutering in an way to protect the animal’s dignity. 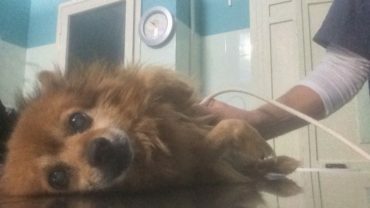 Your donation of EUR 45.— allows us to treat one dog, with EUR 4500.—100 dogs could receive treatment.